Slip and fall accidents are a common cause of back injuries, especially in elderly adults. They often result in cuts and bruises, fractures, broken bones, and slipped discs leaving you in pain for weeks or months. Many people experience minor back injuries with occasional back pain caused by pulled muscles, strain, and overexertion from daily exercise and activities. This type of discomfort and pain usually heals with proper treatment such as applying heat and ice and adequate bed rest. Some back injuries that involve muscle sprains and pulled or torn ligaments can take several months to heal properly. Slipped discs and spinal fractures involve more intense pain and medical care. If your nerve roots of spinal cord are affected, you can experience numbness, tingling sensations, muscle weakness and fatigue, and even paralysis with severe injuries. Unfortunately, more severe back injuries caused by falls often require pain medications, long-term medical care, physical therapy, and sometimes surgery. Living with a back injury creates problems with daily lifestyle and activities for many people. Depending on the severity of the injury, you may be required to take time off from work. You may need help around the house with daily chores, as well as help with the kids if you’re a parent. Your doctor may want you to stay off your feet and get adequate bed rest for several weeks. For most people, that presents a difficult situation because of daily activities and commitments. If your doctor prescribes strong pain medications, you may have difficulty functioning at a normal level. Strong pain medications can affect your physical and mental functions causing you to feel groggy, tired, weak, dizzy, and lethargic. The change in your daily routine can leave you feeling stressed, anxious, and depressed. Over-the-counter supplements from Accutrition can provide natural, safe relief from stress and anxiety. Mild to severe back injuries can happen to anyone at any time. 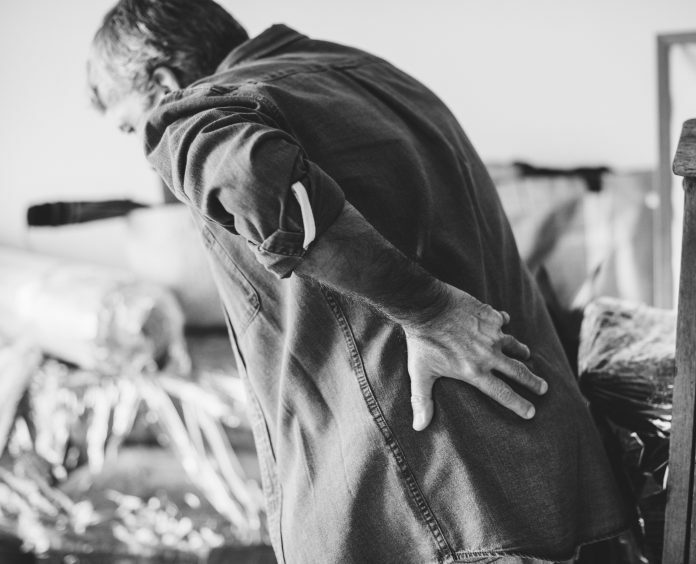 Thousands of people suffer back injuries each year from work-related tasks, sports activities, lifting and moving household items, lifting small children, and car accidents. Slip and fall accidents that often result in serious back injuries are often caused by uneven sidewalks, icy or snowy conditions, torn or damaged carpeting, damaged stair treads, loose hand railings, and poor lighting. During the holiday season, slip and fall accidents send thousands of people to the hospital emergency room from falls off of rooftops and ladders while putting up holiday decorations. If you are suffering from a back injury, kavinace ultra pm by neuroscience can help you feel better by reducing stress and anxiety in a safe, natural way that will aid in your recovery.